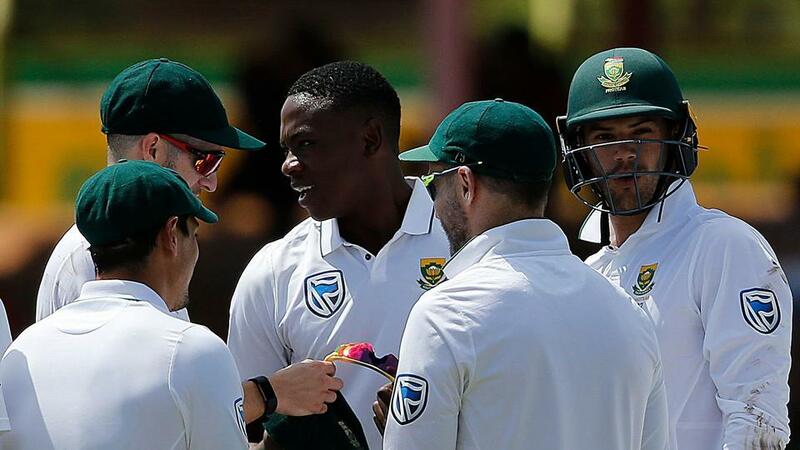 Kagiso Rabada picked up 10 wickets as South Africa swept the series 2-0 against Bangladesh after winning the Bloemfontein Test by a record margin of an innings and 254 runs. South Africa paceman Kagiso Rabada bagged another five-wicket haul to take his test match tally past 100 as his side wrapped up a comprehensive innings and 254-run victory over Bangladesh on Sunday. Having grabbed five wickets in the first innings, Rabada ripped through the Bangladesh batting order again on the third day of the second test at the Mangaung Oval. He finished with match figures of 10-63 as Bangladesh were bowled out for 172 in their second innings after being asked to follow-on. Bangladesh were dismissed for 147 in their first innings in reply to South Africa’s mammoth 573 for four declared. It was the biggest win in South Africa’s Test history, surpassing the innings and 229 run victory over Sri Lanka in Cape Town in 2000/01. South Africa also won the first of the two-match series with a 333-run victory at Potchefstroom. The 22-year-old Rabada reached a century of wickets in just his 22nd test, shouldering the bowling responsibility in the absence of the injured Morne Morkel, Vernon Philander and Dale Steyn. He had Soumya Sarkar and Mominul Haque out cheaply before lunch and then claimed his 100th test wicket as Dean Elgar took a sharp catch to dismiss Mahmudullah, who top scored for Bangladesh in their second innings with 43. Taijul Islam and Rubel Hossain were then bowled by Rabada, as he cleaned up the tail to finish with second-innings figures of 5-30. South Africa had set the foundation for victory with 428 runs on the opening day on Friday with four players making centuries against a mediocre bowling attack. Rabada, however, showed there was life in the wicket as he turned in a virtuoso display. South Africa and Bangladesh will now play three One-Day Internationals and two Twenty20s.